Day #12: Strolling into Spring! TNMBN Giveaway Event! Strolling Into Spring Event and we've got a neat little gadget up today!! 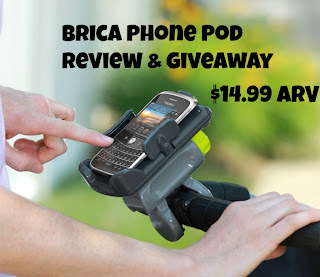 Today's giveaway is sponsored by Brica. We're Parents!? is bringing you an awesome review & giveaway for Brica's Phone Pod. I don't know about you but I hate not having somewhere to keep my phone when we are out strolling around. To see why I love this gadget, you can read the full review and enter to win one for yourself, click HERE.